Stepping into the scene as a township developer in the northern region some 40 years ago, Paramount Property, the property development arm of Paramount Corp Bhd, has since become a developer that offers a broad spectrum of products. “As cities mature and population increases, landbank becomes scarce and expensive, leading to the growth of and demand for high-rise developments. As the people’s developer, it is natural for Paramount to meet this need by expanding into this type of developments,” Paramount Corp’s group chief executive officer Jeffrey Chew tells TheEdgeProperty.com. Paramount’s current portfolio ratio of products is about 66% landed and 33% high-rise properties, including its commercial developments. 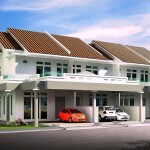 But Chew expects its property business core to gradually shift to 30% landed residential and 70% commercial. “Over time, we cannot go too extreme towards either end (landed or non-landed). We will try to make sure there is a minimum of 30% landed residential, while the remaining 70% will be commercial, which could be landed, multi-storey or high-rise, to cater to the demand from different buyers,” says Chew. 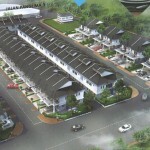 Meanwhile, the developer also targets to launch the second phase of Utropolis Batu Kawan this year. The second phase will consist of serviced apartments, but details have yet to be confirmed. 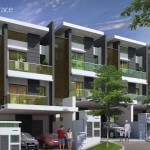 The 44.3-acre Utropolis Batu Kawan development has a GDV of RM1.8 billion. Anchored by a new flagship campus for KDU Penang University College, it comprises residential, commercial, retail and hotel components. “We have just launched our first project in the first phase comprising strata shops with serviced apartments above. Out of 612 apartment units, 502 have been taken up. We have also achieved 65% take-up for the shops. We are very pleased with the strong take-up, despite the soft property market,” Chew says. He attributes the strong take-up to the future development potential of Batu Kawan which will soon see the opening of the first IKEA outlet in the northern region. “IKEA is a very strong brand that has drawn buying interest, but it is not the only attraction. There is also Columbia Hospital, Design Village Mall, KDU campus, factories of multi-national corporations and many big property players who are developing the place as the third satellite city of Penang. Moreover, Batu Kawan is just off the second Penang Bridge, which is a very strategic location,” Chew explains. 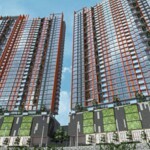 He also attributes the strong take-up of high-rise developments to the changing trends in Penang mainland. 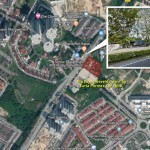 “Penang mainland is dominated by landed properties, which are relatively affordable compared with those on the island. However, we do not see difficulties in selling our high-rise projects there. Some of the locals here want some lifestyle and security features for their homes, which most of the existing landed properties do not provide,” Chew says. Although he thinks high-rises will not likely replace demand for landed homes in Penang, it will serve as an alternative choice.